Since the Assault Hand Paddle debut earlier this year, our unique hand paddles have been purchased all around the globe by the international kayak angling community. Australia has been hot on the hand paddles since their inception. As Australia considers itself one of the extreme locations around the world, these awesome looking paddles have captured their attention. Backwater Paddle Company is setting up a distributor in Australia. Colin Linton, a Backwater Paddle Company loyalist, has been working with us for years in promoting our paddles to the folks Down Under. Colin has stepped up to lead the Assault Hand Paddle revolution to his Australian and New Zealand kayak fishing community. BCF (Boating, Camping and Fishing) is like the stateside Bass Pro Shops, Gander Mountain or Academy Sports shops for the Australian sportsmen. Colin is working on introducing the Assault Hand Paddle into the larger sporting goods brick and mortar stores around their country. 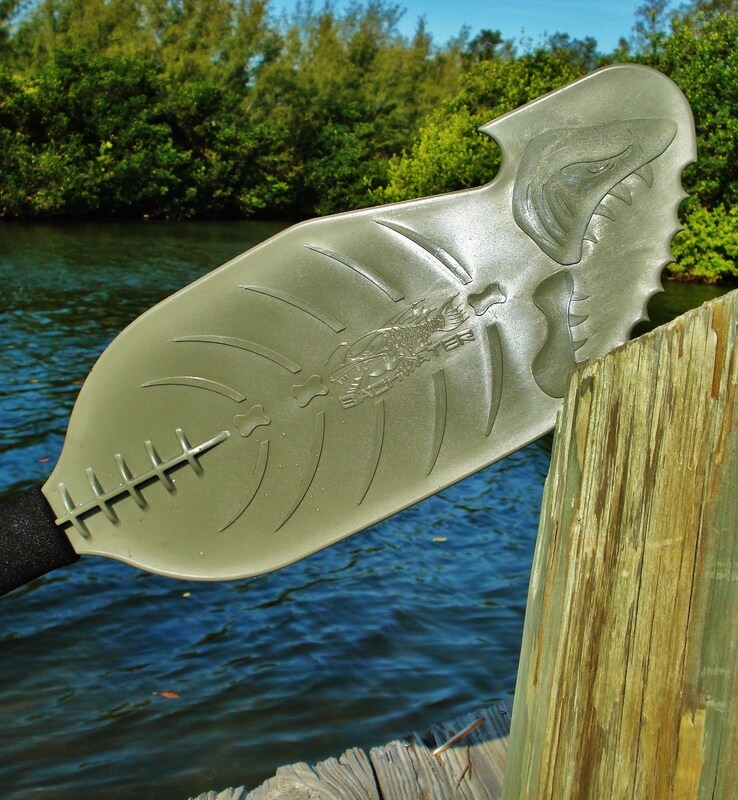 Carlos Cianchini, a fellow kayak angler from Micronesia, recently purchased a set of Assault Hand Paddles and is posting his hand paddle adventures. Where in the hell is Micronesia, you ask? Is there a Macronesia? All I know that these islands are somewhere north of Australia. Of course our neighbors up north, Canada, have been all over the Assault Hand Paddle. You would think having a mutually shared border would make shipping easy and cheap. It seems to take forever for our paddle sportsmen in the Great White North to receive their paddle orders? I can get the paddles to the border in two days…after that it, takes about two weeks for the Canadian post service to get them the rest of the way. Wonder why? Brazil, UK, Spain and Italy are a few more countries where the Assault Hand Paddle revolution is taking hold. Spread the word!! This entry was posted in Assault Hand Paddle, Backwater Paddle Products, Marketing My Company and tagged Assault Hand Paddle, Backwater Paddle Company, hand paddle, kayak fishing, paddle sports on July 18, 2013 by Paddleman. 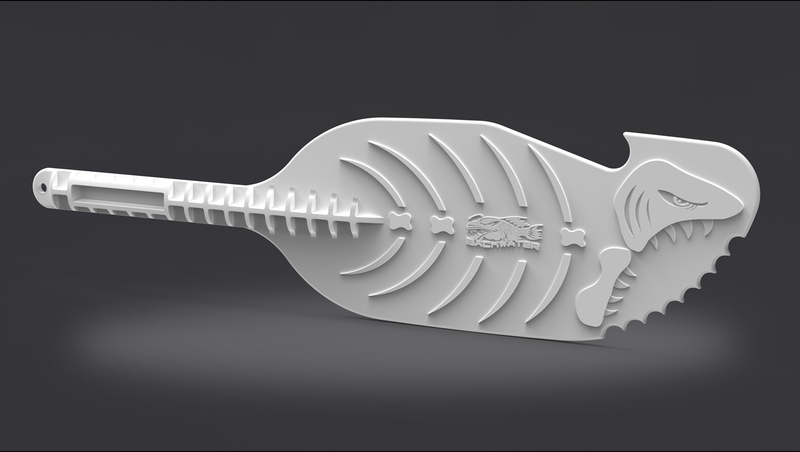 Finally, after eleven months of tooling, Backwater Paddle Company’s newest paddle, the Assault Hand Paddle, is ready for manufacturing. The final mold inspection was recently performed. A couple of dozen sample paddles were made. 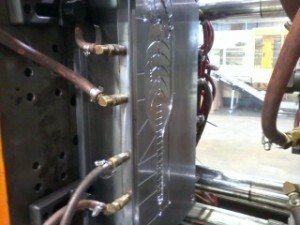 The mold tooling project was signed off and paid in full. We are just waiting on some small particulars from the manufacturing end. We expect to have paddles available in a couple of weeks. The Assault Hand Paddle project was beset with problems from the beginning. Backwater Paddle originally entertained the idea of manufacturing the paddles overseas. The overseas contact we had abandoned the project in mid stream, leaving us stranded. We spun our wheels for four months with nothing to show for it. NO, there was no money invested or lost with the overseas exploration. After very little thought, we decided the overseas venture was not the way to go. Stay at home!! Having explored the stateside tooling and plastic manufacturers, we opted for a company in Valdosta, Georgia. Peliton Plastics took on the project. However, they were extremely busy and subbed our project out to one of their affiliates up in Kentucky, for the same quoted price. The project was more than the Kentucky company could handle. They had to upgrade their CAD system, their memory, their tools, etc, etc. All this created delays, massive, mind blowing delays! To make a long story short, we finally got our mold after eleven months. Did I tell you that the mold was supposed to take only four months to make? With so many problems, delays…all we could do was laugh about our predicament. All we could really do was…hurry up, and wait!! Backwater Paddle Company’s Assault Hand Paddle performing the first float test. The paddle floats extremely well! Another main concern was flotation of the plastic Assault Hand Paddles. We were not sure if the paddles would float on their own. The manufacturers felt “pretty sure,” but not certain. As soon as we got our first sample…it floated perfectly!! Assault Hand Paddle mold with water cooling lines connected. Waiting for pressure injection machine to close and shoot mold with polypropylene plastic. You cannot believe how complicated the mold tooling and pressure injection systems are. The molds are not some simple, two sided, diametrically opposed plates, clamped together and plastic poured in a hole! Unclamp and viola, a paddle!! Not even my friends!! 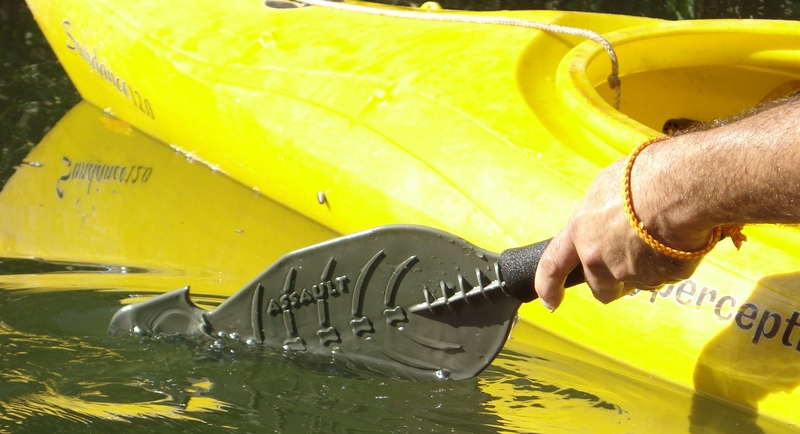 The Assault Hand Paddle mold weighs about 500 pounds, a quarter ton of steel! It has two steel milled plates with the paddle design. Two massive steel plates that hold all the mechanical parts and ejection pins, are all bolted together. A forklift moves the mold from shop to machine. Even a water cooling system is piped into the mold. The above photo shows the water lines connected into the side of the mold. Some 250 tons of pressure is generated to hold the mold closed while 400 degree polypropylene plastic is forced in. Pretty impressive operation when you see it all working. 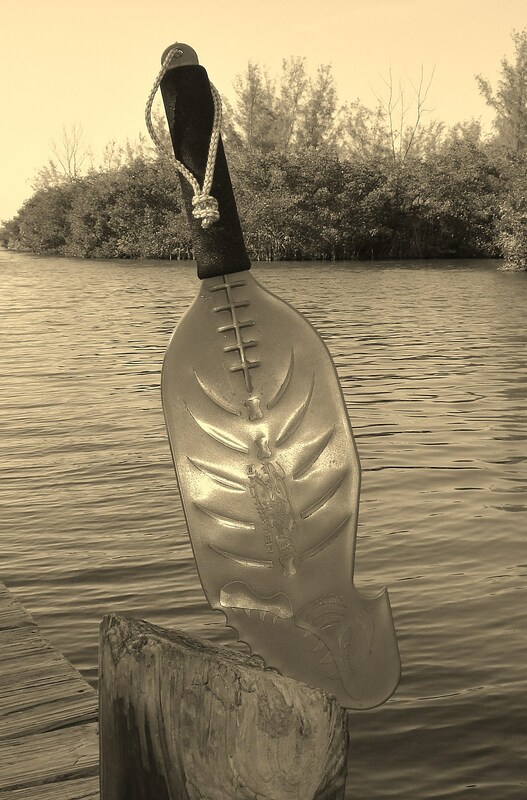 Found photo of original Assault Hand Paddle used by early explorers to paddle the waterways and defend against the natives. We have so many potential customers commenting on the uniqueness of the paddle design. Many say it looks like a primitive or medieval weapon! I like that, as a former naval survival instructor! Maybe that is where the concept lies? Maybe some early explorers used an axe like device to bushwhack and double as a defensive weapon? We searched old archived photos and found a file photo of just such a weapon. Hmmmm….makes you think? Backwater Paddle Company’s newest paddle, the Assault Hand Paddle, on display. 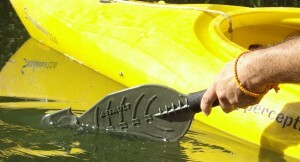 Nevertheless, Backwater Paddle Company hopes to get our new Assault Hand Paddle out to the paddle sports community soon. As usual…still waiting!! Paddle on my friends!! This entry was posted in Assault Hand Paddle, Backwater Paddle Products, Marketing My Company and tagged Assault Hand Paddle, Backwater Paddle Company, hand paddle, kayak fishing, kayak fishing hand paddles, kayaks on April 11, 2013 by Paddleman.